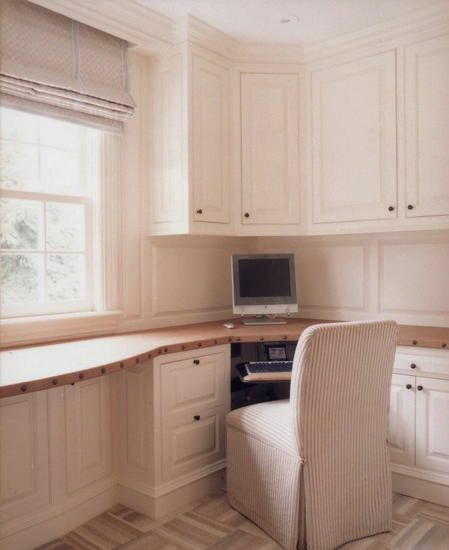 A comfortable home workspace designed for function and aesthetics. 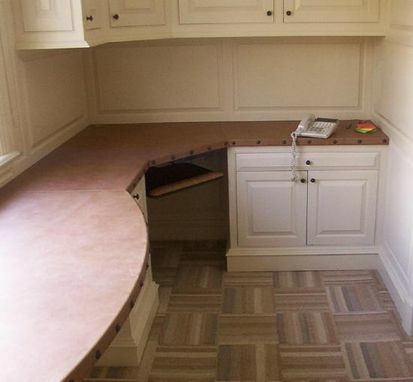 This home office situated off the master bedroom suite features traditional raised panels floor to ceiling as well as computer stations with pullout keyboards on either end of the room and abundant cabinet storage all around. 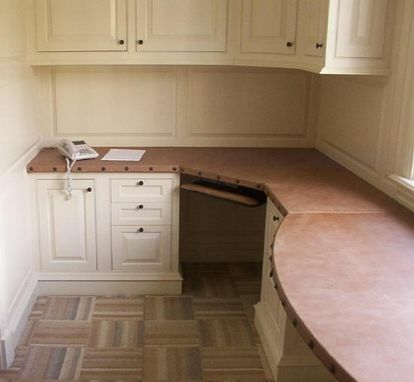 The final touch is a full custom antiqued leather work surface.